I agree with leaving it alone for now. SQL will try to load as much into memory as it can, up to the amount defined in MAX SERVER MEMORY. Your 600MB db will obviously fit into memory in your current config.... But in SQL Server 2012 (and in SQL Server 2008 from what I can deduce from online chatter) you cannot specify the location. In SQL Server 2005 it was important to be able to set this location because, for performance reasons, we put the catalogs on separate disk. The ability to use DHCP for a cluster is new to Server 2008 as well as SQL Server 2008 and is available only if you cluster your SQL Server using Server 2008. If you install SQL Server 2008 on Windows 2003, you can't use DHCP for the SQL Server instance. Using DHCP allows you to not configure each server and cluster with an IP address. You can either allow the server to pull IP addresses at how to show you are joking in professional email By default, SQL Server will store indexes in the PRIMARY filegroup, however, if you have multiple filegroups setup, for example, one for indexes, this is where you would change this. Depending on how many and how large your indexes are, it may be a good idea to create a filegroup on a separate set of disks and store your indexes there. This could help with performance and storage space. 28/04/2008 · We’re sitting here in St. Pete Beach in Florida visiting some of Kimberly’s family and having some sun-kissed R&R before heading back up to Seattle on Wednesday, and I thought I’d get the next post in my sparse columns mini-series out. If the value inserted is larger than the current identity value for the table, SQL Server automatically uses the new inserted value as the current identity value. The setting of SET IDENTITY_INSERT is set at execute or run time and not at parse time. 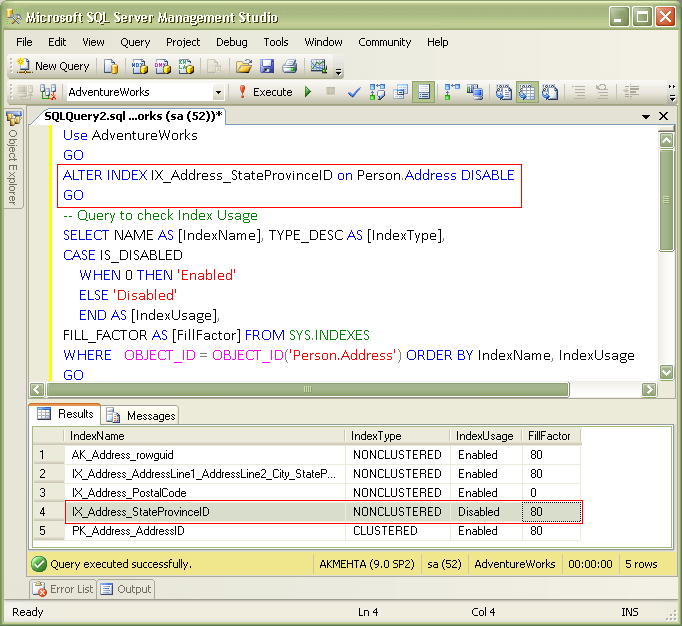 How to change the Index Create Memory setting using SSMS. Open SQL Server Management Studio and then connect to SQL Server Instance. 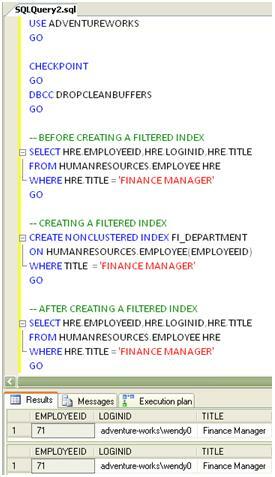 In Object Explorer, right click the SQL Server Instance and click on Properties as shown in the snippet below. When I look at the properties of the database from SQL Server Management Studio (right click the database, click Properties, and then click "View connection properties") the Connection Timeout is set to 15. I'm not able to change this value here as it's read only from this view.